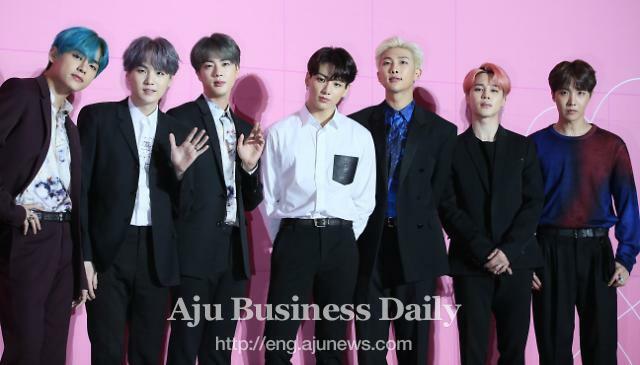 SEOUL -- K-pop band BTS is bound for No. 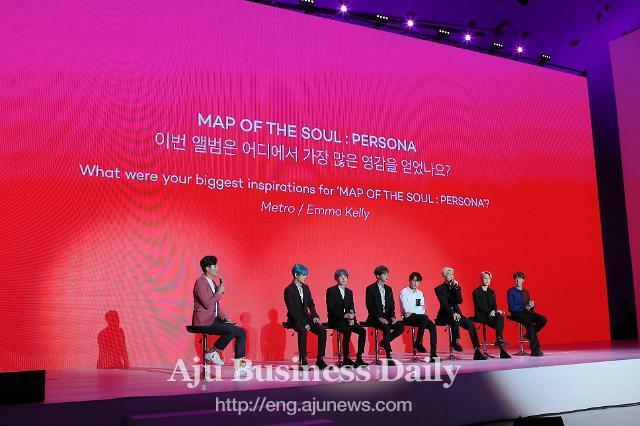 1 on the Billboard 200 albums chart with the group's new album "Map of the Soul: Persona". The new album has topped iTunes album charts in many regions. Industry forecasters suggest the set, which was released on April 12, could earn between 200,000 and 225,000 equivalent album units in the United States in the week ending on April 18, according to the American entertainment media brand. 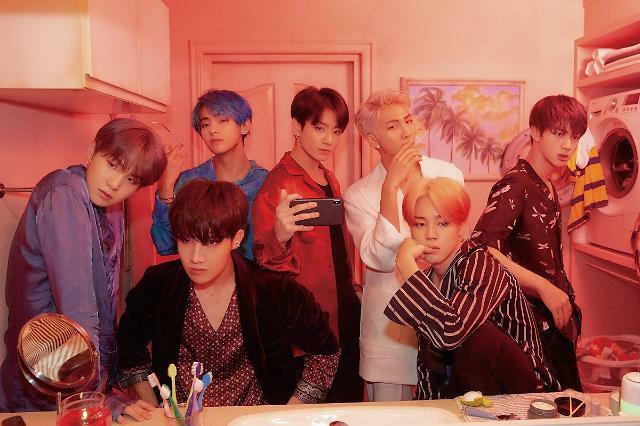 The top 10 of the April 27-dated Billboard 200 chart is scheduled to be revealed on Billboard’s websites on April 21. the group's last album "Love Yourself: Answer" earned in its first week on September 8 last year. 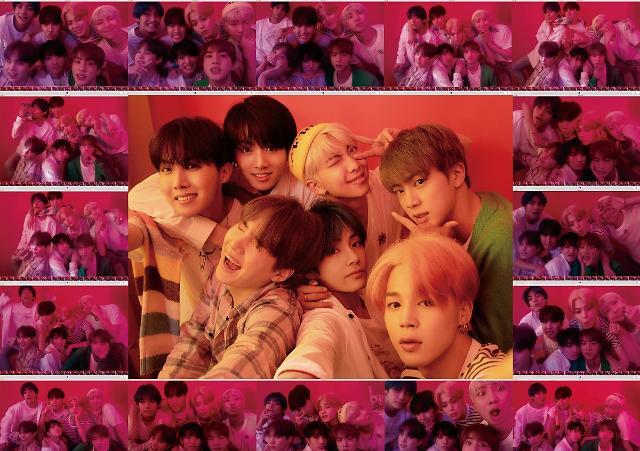 "Boy with Luv", the new album's title song featuring Halsey, stood third on the global top 200 chart of Sweden-based Spotify. The album's six other songs also made it to the top 200 playlist. "Fake Love," the main track of "Love Yourself: Tear," released in May last year, went up to 10th place on the Hot 100 chart last year, marking the highest Billboard charting by a BTS song. The music video for "Boy with Luv" has surpassed 100 million views on YouTube at the fastest pace ever in 37 hours and 37 minutes after its release. The previous record was set by K-pop girl group BLACKPINK's "Kill This Love," which hit 100 million views 62 hours from its release on April 5.